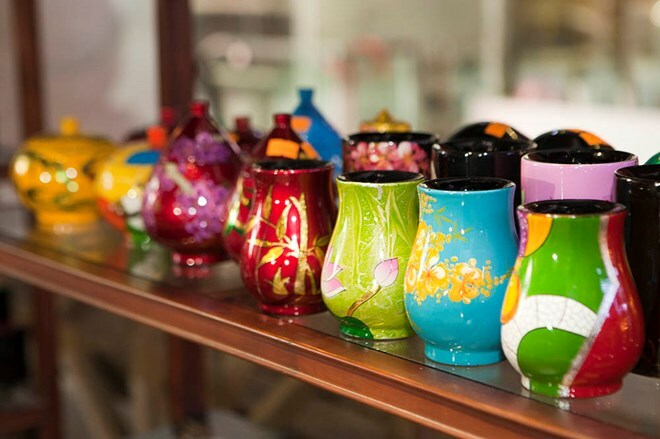 London (VNA) – A Vietnamese lacquer arts and traditional handicraft exhibition has been opened in Norway’s capital city of Oslo, receiving a warm response from international friends and the local Vietnamese community. The exhibition features lacquer paintings by late well-known artist Le Cong Thanh, along with applications of the art in traditional and contemporary styles such as water puppetry, painting, interior design and fashion. She also lauded the contribution of Norwegian friends and local Overseas Vietnamese in strengthening the two countries’ friendship relationship and collaboration. Gunn Jurid Roset from Norway’s Ministry of Foreign Affairs praised the fruitful relations between the two nations in several spheres, including politics, economy, climate change and cultural exchanges. She also highly appreciated the embassy’s effort in promoting Vietnam’s special culture and country in the Scandinavian country.